for this course in the schoolyear 2018-2019? You are interested in the course for the year 2019-2020? Please make a pre-registration, it doesn’t oblige you to nothing afterwards, but makes it possible to keep contact. Dates can be subject to change and are only final after official confirmation by the course provider. Local partners organize these international courses in cooperation with Eekhout Academy. 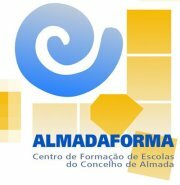 The hosting partner organisation is ALMADAFORMA, in cooperation with the Centre for the Study of Migration and Intercultural Relations (CEMRI) of the University Aberta and the Eekhout Academy. It becomes challenging to enable success for all learners, including children with different and diverse backgrounds. During this course, which is set in Lisbon Centre (Portugal), we provide the knowledge, skills and attitudes the participants need to cope with diversity. We have a study visit to a Sikh Temple, a centre for gender and a social centre or school. In the course we also incorporate diversity in the informal moments, every meal has a different gastronomical background. We selected Lisbon on purpose as during centuries the city was the centre of a global empire. Although this empire is long gone, the people remained and created a mixture of colour, flavour, spices, gastronomy, music, culture… Next to London, Lisbon can be considered as one of the first multicultural capital cities where diversity became a part of the normal urban life. Lisbon is also one of the most open southern European cities towards gender and social innovation. - Gaining insight and awareness in different aspects of diversity in education. - Getting a clear view of the actual level of diversity management in your school and creating a plan on future (higher) levels of diversity management in your own school or institution. - Drawing up a realistic list of priorities and possible solutions, designing projects and creating attainable challenges to implement these solutions and projects in your own school or institution. A course day starts at 09.00 h and ends at 16.00 h, with a break for lunch of 1 h.
On Friday we end at 15.30 h, allowing participants to catch the last airplane. The first and last evening, the participants have the opportunity to join a cultural programme, welcome supper and farewell supper. During the course week, there is a free period for personal reflection and transfer exercises and a voluntary cultural activity. Lisbon is the perfect city for a course on diversity; all you learn in the course can be seen in real life in the streets and public places of the marvelous city. Real life situation and examples during exercises worked wonderful. Before the course I thought I knew all about it, but diversity is more than skin colour. What an opportunity to be able to visit an genuine Sikh Temple. Exciting course, it opened my eyes for obvious aspects of my school policy I hadn't realized before. Visit to Portuguese social centre for immigration was for me a useful shock. The course is organized in the conference room of the University Aberta of Lisbon and participants stay at a nice hotel, both located in the centre of Lisbon (10 km from Lisbon airport), near the roundabout of Marquês dePombal. The hotel is situated near the historic places of the city and close to the River Tagus. There is a very easy access from the airport. Public transport and taxis provide fast connection from and to Lisbon centre. - We offer a flexible cost structure, allowing you to select the package that fits best your personal or school situation. - For a detailed explanation, have a look at our 'Cost Structure'. - You can request an Erasmus Plus grant from your national agency which will cover almost all costs of this course. - We can guide you through the process of funding and application. To do so, you need the make a pre-registration. - After pre-registration, we’ll contact you by mail and provide the application help. - There is a taxi service at the airport that can drive you to the hotel. The normal price is about € 10. At night and during traffic jam, the driver will ask a higher price until € 20. - It's particularly difficult to leave or enter Lisbon between 08:30 and 10:30 h. and 16:30 and 19:00 h by car or taxi. - You can take the metro located at exit of the arrival hall of the airport and leave the metro at the station "Marquês de Pombal". Don't hesitate to contact us if you need more information on the content and the organization of the course. We can provide support during the process, give some help and provide tips for the application documents, advice you on the European Staff Development Plan (part of the application) or your professionalization plan and help you after approval with the practical arrangements (e.g. information on travel and accommodation).